My father was a first-generation college student. It helped that he had the GI Bill, having served four years in the Air Force. By 1969 he was enrolled in Corning Community College. Twenty years later, I would do the same. My father and I were both born in Corning, New York. As was my grandfather, and his father, and … well, you get the picture. My grandfather worked the night shift at the famous Corning Glass, whose corporate office still sits beside the Chemung River today. My father, modeling himself on his own father, decided to go into engineering — so why begin at a community college? It’s not enough to say because it sat atop the hill above my grandparent’s house. It may be closer to the truth to say that it was simply cheap. At that point, the college had only been there a decade. It was also small — the graduating class in 1968 was 524 students, 10 times the amount of the first graduating class in 1960. 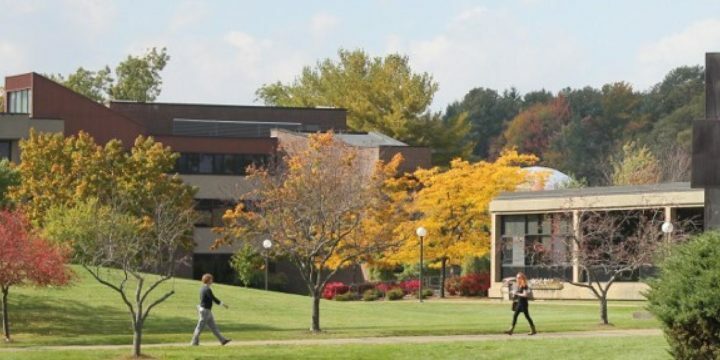 “Of all the students going on to higher education from the two Corning-Painted Post area high schools,” wrote in the first issue of the college’s newspaper, The Crier, in 1969, “58% of East High and 66% of West High are attending Corning Community College. Of the entire 1969 graduating classes in both schools, 36% are attending Corning Community College. In 1989, I was one of those students who had graduated in Elmira, New York, only a half hour or so from the Corning campus. And why did I go there? Because my Dad offered to pay for it. Seriously: it was cheap. I think it was something like $2,000 for the entire two years. That first issue of The Crier also made this unambiguous statement: “At an expense of billions of dollars, the United States has put men on the moon and brought them safely home again while here at home there isn’t enough money available to grant loans to many college students, who, without some kind of financial aid, will therefore be unable to either begin or continue their college education.” Has anything changed? Probably not, as Kyle Spencer points out in a recent New York Times piece, “Middle-Class Families Increasingly Look to Community Colleges.” As college prices soar, “More middle-class parents are saying, I’m not succumbing to the idea that the only acceptable education is an expensive one,” says Temple University professor Sara Goldrick-Rab. Is that a bad thing? Not when a student can transfer — even Princeton will be focusing more on transfer students come fall. Community colleges are also “melting pots” of diversity. Are there problems? Yes, the article points out. There is cost-benefit analysis to contend with. There are graduation rate issues down the road. Some credits don’t transfer. At Capture Higher Ed, we’ve begun reaching out to community colleges intending to do the same for them that we do for private liberal-arts colleges as well as big state schools: find the right students. That also means finding the right college for the right student — and how we do that is cutting edge. We’re helping Bucks County Community College, and we will undoubtedly help more. We’re here to help. Ask us how.